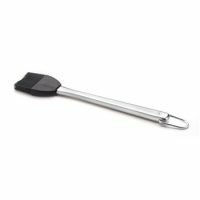 This shorter version of a barbecue meat hook is perfect for flipping steaks, chicken or pork chops or just all around everyday grilling. 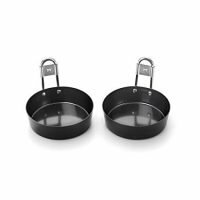 At only 12 inches long it still gives you the leverage that you need for those smaller items without being to long to fit into your kitchen drawers. 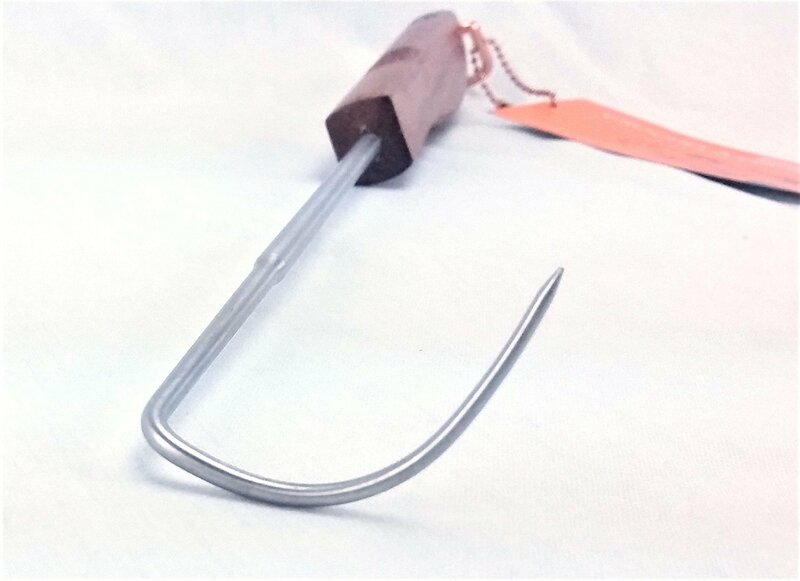 This meat hook is very light weight, yet the stainless shaft is very sturdy and could hold a few pounds easily. As with most barbecue meat hooks, this one intended for use by right-handed people. The stainless steel shaft is 6.5 inches long while the curved and notched rosewood handle is 5.5. It has a brass look loop on the end for hanging. 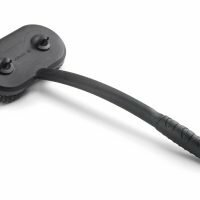 It ships with a piece of tubing over the point that you should save to use for storage. The tapered pointed end is very sharp. 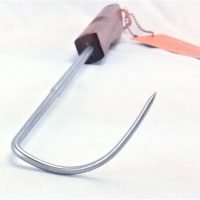 The pointed end on this meat hook curls around allowing you to hook meats like steak with a simple flip of your wrist. 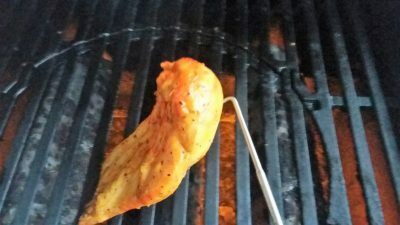 A barbecue meat hook has never made its way into my daily use grilling tools. As easy as they make turning meat I just never took to them. There is a large group of people who love these things and after owning one will by large quantities as gifts for all of their friends. I took one look at the size of this meat hook and I think I will have to give barbecue meat hook another shot. I guess the smaller size just makes it appear to be a more convenient tool. I also think that cleanup will be a breeze just by wiping off the tip with soapy water just like I do with my meat thermometer. Maintain natural wood finish by periodically rubbing wood with oil based cleaning product. 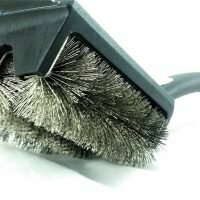 Do not use steel wool or abrasive scrubbing pads on stainless steel it will scratch the finish. 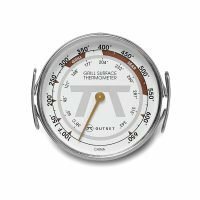 This little gadget is my new favorite grilling tool. Small lightweight and simple to use. This and a pile of steaks is all I need. Yeah, we love ours to.